There are 21 reviews of Kai. Sweet floral. Tropical. Then, I get a nutty accord. I smell gardenia. Then I think I smell tiare flower - and maybe jasmine. I'm not sure where the nuttiness comes from. A bit too tame for my tastes. I found it rather simplistic and something that a beginner would wear rather than an experienced perfume enthuasist. Nice, fresh green notes. No sultriness. Gardenia + LOTV + Tiare '/. 3 = Kai. 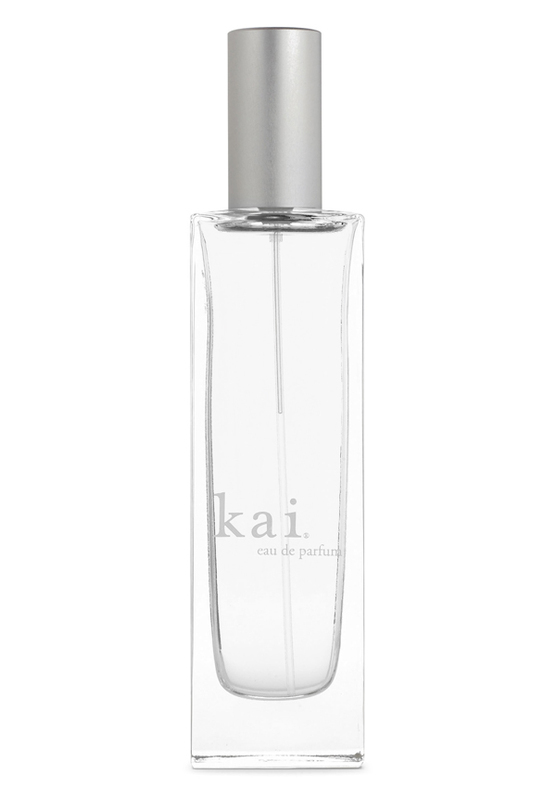 Kai is potent, linear and tenacious: good or bad qualities, depending upon whether you like this blend of white flowers. I do, but I'm not sure when -or if- I want to personally broadcast their aromas so loudly. I have Kai EDP and a tiny sample of the oil. I found it laughable that the little card which came with the oil announced "kai is different on everyone". To me, this fragrance so 'fixed', I think it would be unmistakeable on anyone -or anything- it was sprayed upon. I can't imagine Kai blending in with a wearer's personal chemistry - it's way too strong and un-human for that. In fact, Kai could be successfully employed to disguise minor lapses in personal hygiene. Being a floral girl like myself, it is hard not to be enchanted by Kai. I know of many people that have been turned off by this fragrance's simple packaging and primary note of gardenia, but I urge people to not judge this fragrance before you try it. You are depriving yourself of something very special. The gardenia in this perfume is very green and fresh. In no way has the gardenia been tampered with or made to smell overly sweet or synthetic. Kai is like wandering through a garden full of these wonderous flowers and inhaling their delicious aroma. I particularly love how soft and creamy this scent becomes when it develops on my skin. Despite its strong floral notes, Kai never smells too mature or dated. On my skin, this scent is youthful, feminine and fresh. The sillage is fantastic and the lasting power also great. My only gripe is with the price, which I find absolutely ridiculous. I understand that Kai is an exclusive and independant brand, however I believe that more sales would be made if the price was much lower. Perhaps one day, if I'm rich, $100 for 10ml of Kai won't faze me and I will add this fragrance to my collection. On me this is a cool, green, light, very true gardenia. The freshly-opened buds l mean, none of the buttery-creaminess of the mature bloom, or the skank of the leaves & dirt here. l don't get any other flowers from this either. l appreciate it for being an authentic gardenia, but it's very linear, & lasts barely an hour on my skin. l highly recommend Estee Lauder's Tuberose Gardenia, if you're looking for a true gardenia with wonderful sillage & longevity, & a bit of depth. This review is for the EDP. Disappointing for me. It's in the same realm as Monyette Paris. There's a sickening plasticky cream butter gardenia note in it that amplifies the longer it sits on my skin. It is tenacious yes but I could not bear that plastic note . This presents itself, at first, like a tropical garden of white flowers, till you realise the flowers are plastic and have been sitting in the sun and heat for far too long - and someone sprayed the melting plastic flowers with some cheap gardenia air freshener. Sorry, this is a big yuck for me. There are no member images of Kai yet. Why not be the first? NEW: Kai by Gaye Straza - Kai Rose For Women!